This trip will have a little bit of everything for everyone! We will ride past volcanic areas, cross mountains and rain forest, skirt the edges of lakes, historical places, Art Deco buildings, and sample some great food and fine wine (once off the bikes!) in glorious surroundings and good company. Touring on major and minor sealed roads, following a tried and tested route that we love to share with others, our average speed will vary from 50-100 km/h depending on the terrain and road / weather conditions. At times we will shift the group around so that everyone experiences what it is like to ride in a different part of the group. This will be a great way to get to know your bike and yourself better, and you will emerge a better rider at the end of the weekend! The accommodation and surroundings will get steadily better and better as the weekend progresses. Our Friday night (2nd Dec) overnight stop will be in a high quality bach with single, double and bunk rooms (an upgrade to a private single room is possible) in Pauanui, Coromandel. 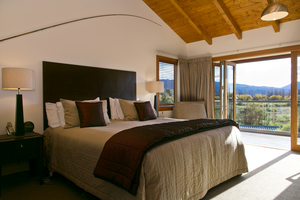 On Saturday night (3rd Dec), we will be staying in an exclusive 5 star luxury lodge (Tongariro Lodge) near the edge of Lake Taupo and enjoying a decent 3 course dinner in scenic wooded surroundings well off the main road. No need to stress about packing. We make it easy for you to take your stuff with you! Don’t rush out and buy luggage racks etc for $150-500. Save your money!. There will be no need to strap large heavy baggage on your motorbike – any overnight luggage / excess baggage etc will be transported by car and made available on arrival at your accommodation, so you can focus on enjoying the ride without loading up your motorbike excessively. En-route coaching. There will be some group riding training prior to, and during the tour, as well as one on one assessment / coaching sessions of 20-30 mins for those that want them while we are out on the road. This will be a really good opportunity to see how you ride on unfamiliar roads – and get some real world training while on the move (which would normally cost you $100-200) – using Bluetooth comms and on board video footage – particularly useful if you are planning on sitting a Restricted or Full Licence test with me in the near future!! Small group / tour guide ratios. These tours are guided by experienced riders who know the routes and how to manage group rides. 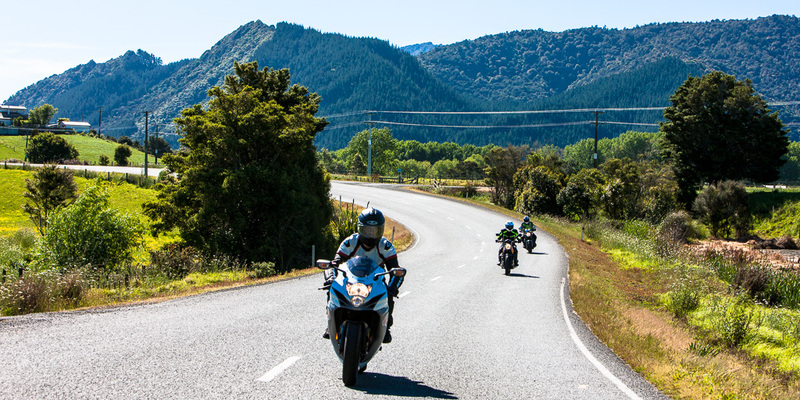 We are focused on maximising your enjoyment of your motorbike, creating a safe, fun environment with a bit of excitement and the chance for some new experiences and testing of your own limits thrown in for good measure. Places are limited! First come, first served.. If you are ready to sign up, we will need a $100 deposit from you to secure your place, and payment in full by 26th November. You can pay a deposit now using the Buy Now button, and the balance by bank transfer, or pay the whole thing straight away. 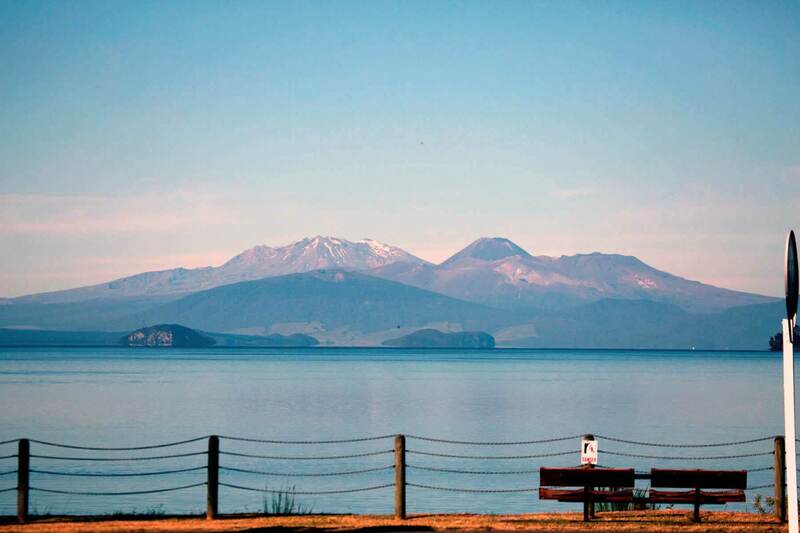 Your 2 options are either (A) $575 for your own room (not sharing) for both nights accommodation or (B) $395 for a shared room – with one other at Tongariro Lodge, and potentially with one or more others at the bach. In both cases the fee also includes breakfast on the 3rd Dec, a 3 course dinner at the Tongariro Lodge on the 3rd, and breakfast on the 4th. Be quick… I have already received full payment from 2 attendees! …and I will be keeping this to a smallish group of 10-12 riders max. 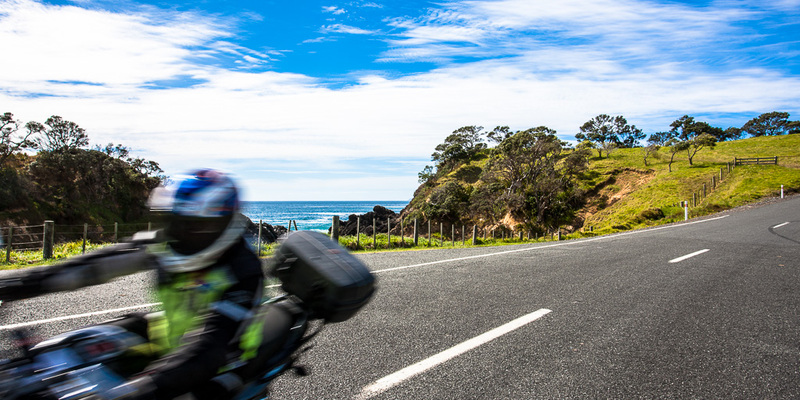 Testimonial from our previous tour..
“I bought a bike partly to experience the beautiful roads around New Zealand. This tour was an incredible first introduction into motorcycle touring. A group of different people, on different bikes, with vastly different levels of experience all on the road together – was a fantastic experience. Highlights…click on the red pins on the map above (due to size, works best on larger screen tablet or laptop) for further information about each location. The route varies on the day depending on traffic, roadworks, weather etc. Another happy participant of a previous tour.. Remember...there are limited places available! Get your deposit in now.. Interested but still got a question or two? Fire a quick note through using the form below… or better still, send a text direct to David on 021 970 648..